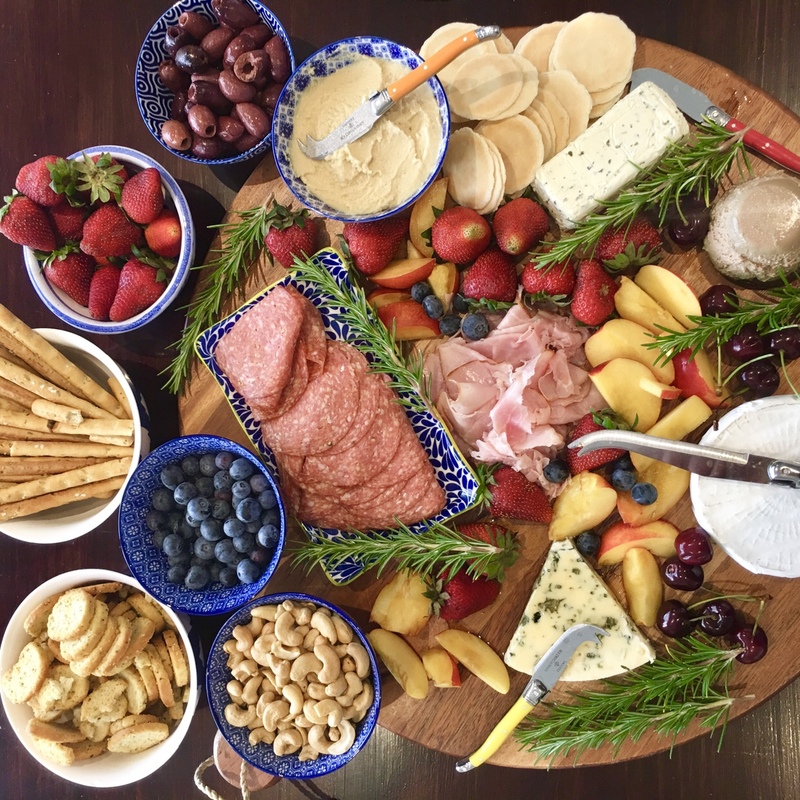 Whether you are hosting a party or a small gathering of friends a simple platter is a great way to keep your guests fed and happy without too much effort in the kitchen. Fresh, quality ingredients, lots of variety, colour and plenty of options for all tastes are the key to a great grazing platter. We love to add fresh fruit to balance the rich cheeses and saltiness of shaved meats, olives and nuts. Remember if you are making a platter in advance to keep the perishable ingredients prepared and in the fridge until you are ready to serve, particularly in warmer weather. Breads and crackers should also be added just before serving to ensure they stay fresh. Homemade dips are a great option for platters and our roasted beetroot dip is a beautiful and bright addition to any plate. Pre-heat oven to 180 Celsius. On a baking tray add beets and garlic and drizzle with half of the olive oil. Bake in oven for approximately 45 minutes until the beetroot is tender (test with a skewer or sharp knife). 10 minutes before the beets are due to come out add walnuts to the baking tray to toast golden. Remove from oven, allow to cool and then gently rub beets to remove skin (use latex gloves for this step unless you want bright pink hands!). Roughly chop beets and add to a food processor with walnuts, yoghurt, rosemary, lemon juice, remaining olive oil and roasted garlic cloves squeezed from their skin. Season with salt and pepper and pulse until a thick dip forms. Remove from processor and allow to cool before serving. Brunch platters can also be a great idea to share a meal with friends and family, simply pile up platters with fresh berries and fruit, pots of natural yoghurt and cream cheese, bagels, croissants, smoked salmon and ham. Try serving a platter next time you are entertaining and save on time, effort and cooking in the kitchen and minimise the post-party clean up!